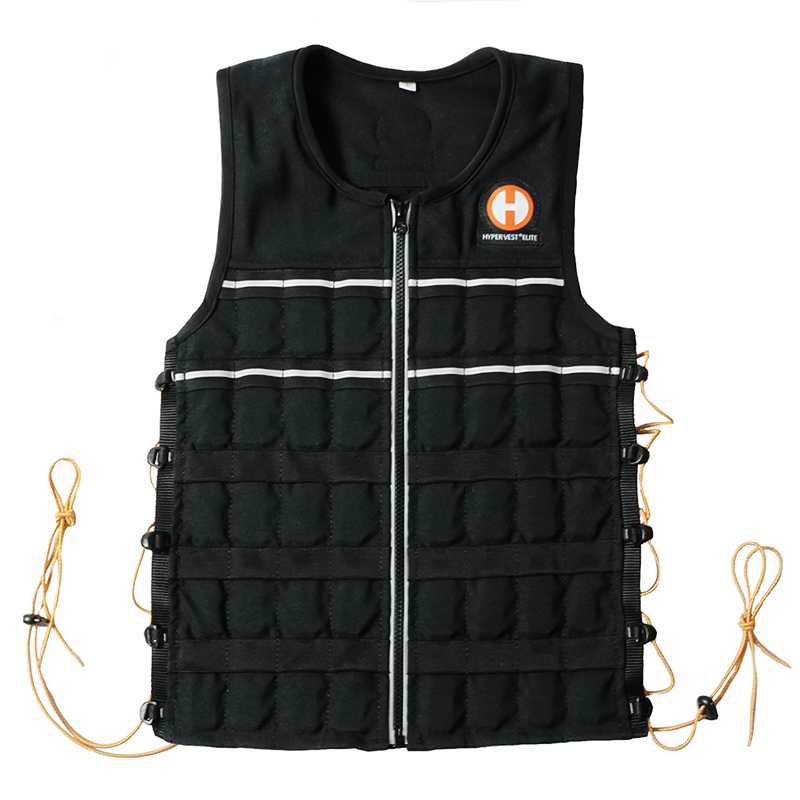 The Hyper Vest ELITE 15/20 lbs weight vest is the sleek & durable 2.0 to our time-tested Hyper Vest PRO, an improvement on the best weight vest on the market. 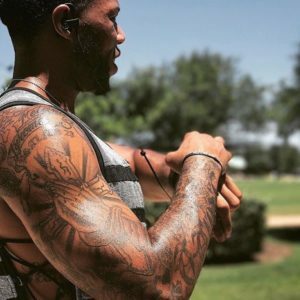 Take your training up a notch with comfortable, flexible and durable added weight: for performance training, running, walking, OCR, functional fitness, weight lifting or rehabilitation. Hyper Vest ELITE is the sleek 2.0 to our original durable, adjustable and form-fitting weighted vest. The innovative design features a unique fabric control system that hugs the body for an extremely comfortable fit, but does not restrict range of motion. 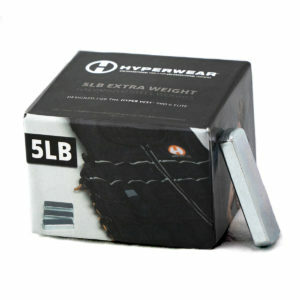 The heavy-duty CORDURA® material is ready to withstand your toughest workouts. 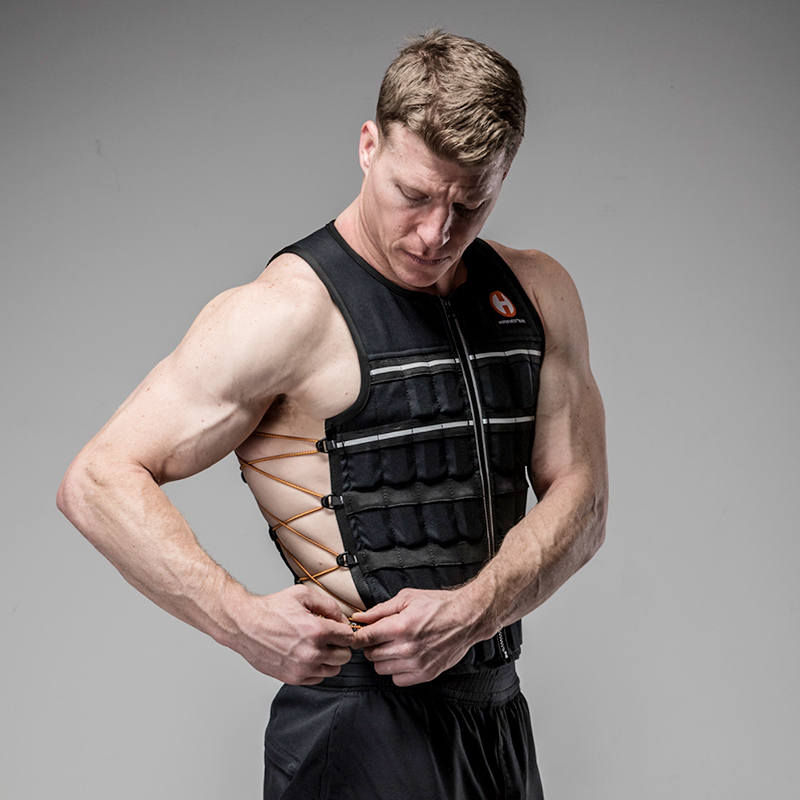 The vest’s patented design flexes more in the horizontal plane and less in the vertical plane, allowing for full chest expansion while keeping the weights in place even during vigorous, multi-plane movements. The breathable, odor-resistant fabric and generous open side panels provide superior ventilation, and reflective striping provides added safety during night runs. Its highly adjustable reflective orange side lacing and slim profile allow for exceptional fit and comfort. 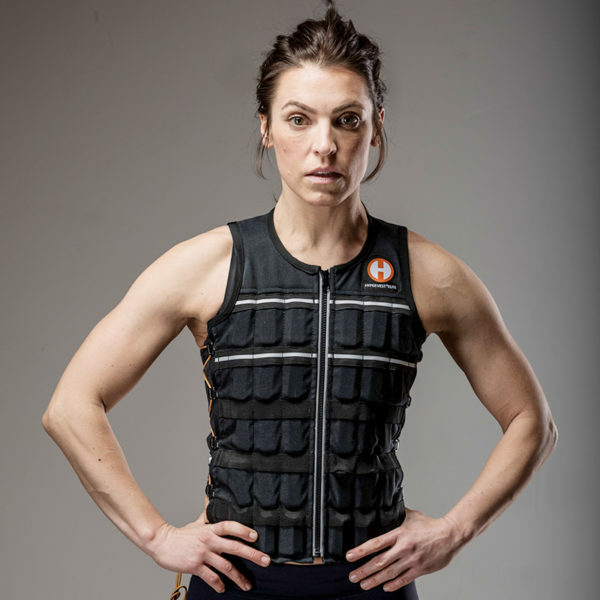 To determine the best weighted vest size for your height and weight please view the Sizing Chart on the tab above. The 1/4″ thick high-density steel weights make this weighted vest barely detectable under a shirt. 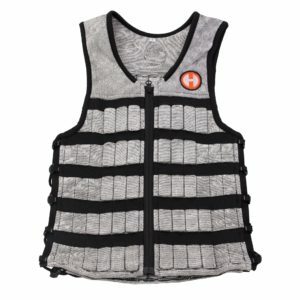 The Hyper Vest ELITE weighted vest is loaded to a total weight of 10 lbs and depending on size comes with an additional 5 or 10 lbs of full adjustable high-density steel weights. Weight count on ELITE: SM=66 weights, MD=66 weights, LG=65 weights, XL=64 weights. Weight vest fabric adds to overall total weight. 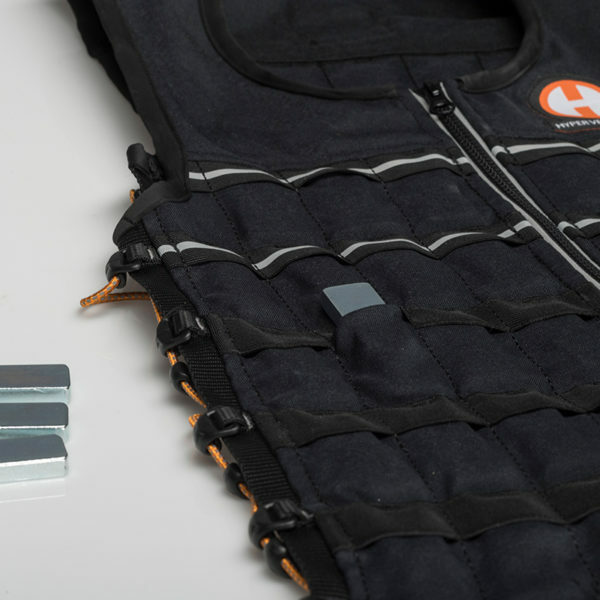 Each individual weight bar weighs 2.25oz and can be easily removed or added to the vest’s custom-stitched pockets. Check out this instructional video Each pocket can hold two weights and weights can be arranged across pockets to change weight distribution. The Hyper Vest ELITE is the best weight vest on the market for sports performance training, tactical training for fire, police, and military, and general fitness, strength training, and rehabilitation. For more info check out our FAQ Page.